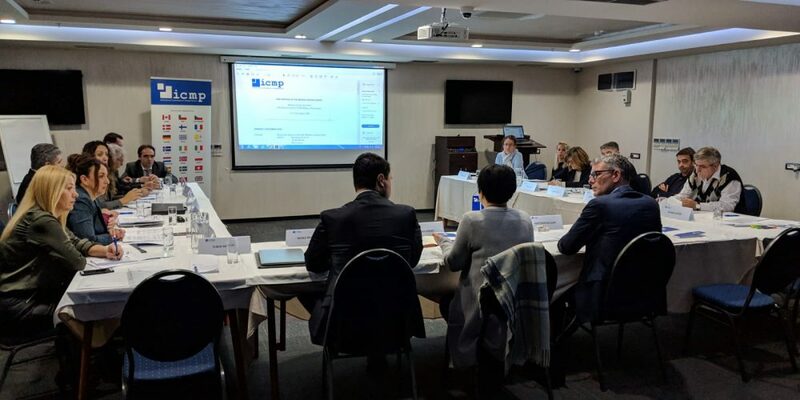 Sarajevo 4 December 2018: The International Commission on Missing Persons (ICMP) has convened the first meeting of the Missing Persons Group (MPG), in Herceg Novi, Montenegro. The MPG will supervise operations under the Framework Plan signed in November in The Hague by the representatives of the domestic institutions responsible for missing persons issues in Bosnia and Herzegovina, Croatia, Kosovo, Montenegro and Serbia. At the two-day meeting, which ended today, the MPG clearly defined the next steps to resolve as many as possible of the estimated 12,000 missing persons cases that are still outstanding. This includes action to resolve “NN” (no name, or unidentified) cases in mortuaries across the region through targeted pilot projects; procedures for sharing data on the missing and potential locations of clandestine gravesites among the members of the MPG; and joint participation at excavations of mutual interest. Matthew Holliday, the Head of ICMP’s Western Balkans Program, commended the authorities responsible for accounting for missing persons for the dedication they displayed during the two-day meeting. The United Kingdom has awarded a grant of 1.5 million Euro for a two-year project implemented by ICMP that supports strengthening regional cooperation to resolve missing persons cases from the conflicts of the 1990s. ICMP will use the UK support to facilitate the work of the domestic institutions and to provide technical assistance to the MPG. The Framework Plan stems from the Declaration signed in London in July this year by the Prime Ministers of Bosnia and Herzegovina, Kosovo, Montenegro, Serbia, Albania, Croatia, Germany, the United Kingdom, Austria, Bulgaria, France, Italy, Slovenia and Poland, which among other things, reiterates their commitment to supporting efforts to account for 12,000 people who are still missing as a result of the conflicts in former Yugoslavia. With UK funding, ICMP will continue its efforts to build political frameworks for inter-governmental coordination, enhancing access to missing persons data across and within borders, increasing the capacity of family associations to advocate at a regional level, promoting joint excavations, and providing continued access to ICMP’s DNA testing and matching facilities. The United Kingdom has been a long-standing ICMP supporter, diplomatically as well as financially. It played a key role, along with the Netherlands, Luxembourg, Sweden and Belgium, in establishing ICMP as a treaty-based international organization, and it was one of the five original signatory countries to the Agreement on the Status and Functions of the International Commission on Missing Persons in December 2014. ICMP is a treaty-based international organization with headquarters in The Hague. Its mandate is to secure the cooperation of governments and others in locating and identifying missing persons from conflict, human rights abuses, disasters, organized crime, irregular migration and other causes and to assist them in doing so. It is the only international organization tasked exclusively to work on the issue of missing persons.